Microsoft’s Build developer conference is nearly upon us. The announcement extravaganza is taking place from May 10 – 12 in Seattle (as opposed to its usual location in California) , and will set the stage for new Windows features over the next year. 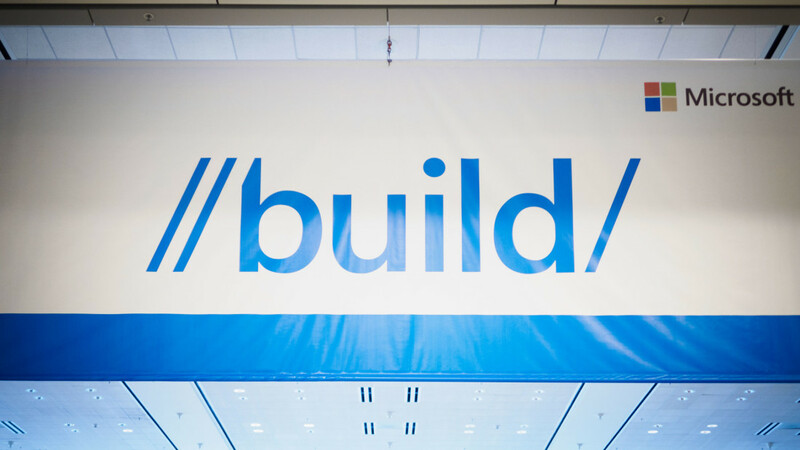 Build is a developer conference, so yes, a lot of the news coming out of the event will be heavily technical, but also expect plenty on the consumer side as the company lays out its vision for the future of Windows. With the Creator’s Update now out of the way, it’s time for Microsoft’s next big update to Windows 10. Microsoft recently announced it intends to provide major Windows 10 updates every six months – in March and September. The Creator’s update was codenamed Redstone 2, and Windows Insiders are already seeing new features as we head towards Redstone 3. Microsoft will likely announce a proper name for its next iteration(“Windows 10 _____ Update”), as well as lay out overarching goals for the release. We first got a look at Microsoft’s sleek redesign for Windows 10 back in February, but the company will almost certainly reveal the new UI in more detail over the next week. From the little glimpses we’ve seen so far, Microsoft is bringing back an emphasis on transparencies, as well as smooth animations and modern iconography. The company will also likely detail how other developers can match their apps to Neon’s new aesthetic. Though Microsoft revealed its streamlined version of Windows 10, Windows 10 S, during its recent education event, there’s still a lot more to learn. It’s still not publicly available, so Microsoft may reveal a date for developers (and users) to try it out themselves. After all, if Windows 10 S becomes as successful as Microsoft hopes it will be, developers will want to make sure their apps are optimized for the platform. For Windows 10 S to succeed, the Windows Store needs to succeed. That means it needs to not only be somewhere you occasionally get modern apps from, but the main place to download Windows apps, whether that be a simple 2D game or software as powerful as Adobe Photoshop. This will also be Microsoft’s biggest hurdle. If it tries to push developers too hard into creating touch-friendly, power-optimized Universal Windows Platform (UWP) apps, it’s going to discourage long-time developers of legacy Win32 apps. But if it it makes the Store a free-for-all where any legacy Windows app can live, then developers aren’t going to bother to implement any of Microsoft’s new guidelines and technologies. Microsoft needs to give developers a real reason to invest in the Windows Store; whether that’s in the form of new UWP features, more cross-platform tools, development incentives, or something else altogether, we’ll have to see. Microsoft announced that it was bringing the full-fledged versions of Office onto the Windows Store in a bid to make Windows 10 S more palatable, but didn’t say exactly when that was happening. We’re likely to get a more concrete time frame at build. Office also has its own suite of developer tools, so expect plenty of updated integrations and feature for developers and users alike to play with. Microsoft just revealed the first Cortana-powered speaker earlier today, and though it provided some details on what it could do – set reminders, control IoT devices, etc – it was low on specifics. Microsoft previously announced the Cortana Skill Set back in December so developers can start programming their own feature into Cortana, but it hasn’t been made available yet. I expect that to change. We already know Microsoft is investing a ton of resources into mixed reality, so the company will almost certainly reveal more on its plans on that front during build. With partner VR headsets coming during the fall of this year, Microsoft is likely to reveal in more detail how exactly these headsets will integrate into everyday Windows apps and gaming, and make it easier for developers to create Mixed reality apps. Stay tuned to TNW for our coverage of Microsoft’s Build 2017 over the next few days.